Manufactured from Roman Stone, these solid surface trays are sleek, strong and durable, creating a safe and stylish low level shower adaptation. 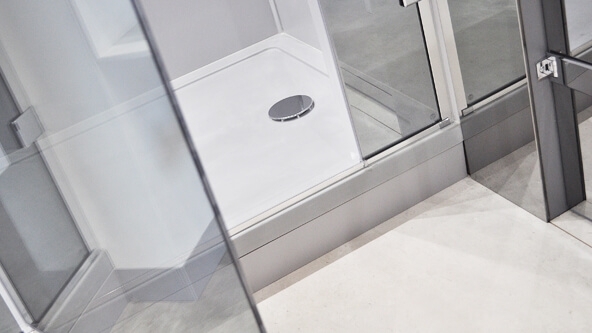 The Roman Anti-Slip is a 50mm thick, slip-resistant shower tray with exposed fast flow waste. The Roman Infinity is a 40mm thick shower tray with concealed fast flow waste. Available in a range of sizes and finishes, the trays are unhanded and suitable for both corner and alcove installations.